When I first moved to Virginia 20 years ago, I would head over to the Virginia Department of Forestry's building at the Fontaine Research Park by UVA to look at their collection of paper topo maps. Those maps would give me great information about trails I wanted to take, and I ended up buying a bunch of those maps, usually at the local camping store for $5 a pop. 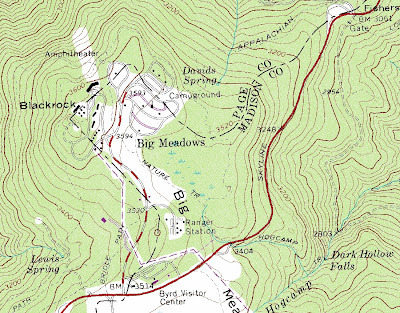 It has gotten a lot easier in recent years to get good maps of the Virginia mountains. The PATC maps have improved, the National Geographic Trails Illustrated maps have expanded their scope, and U.S.G.S. 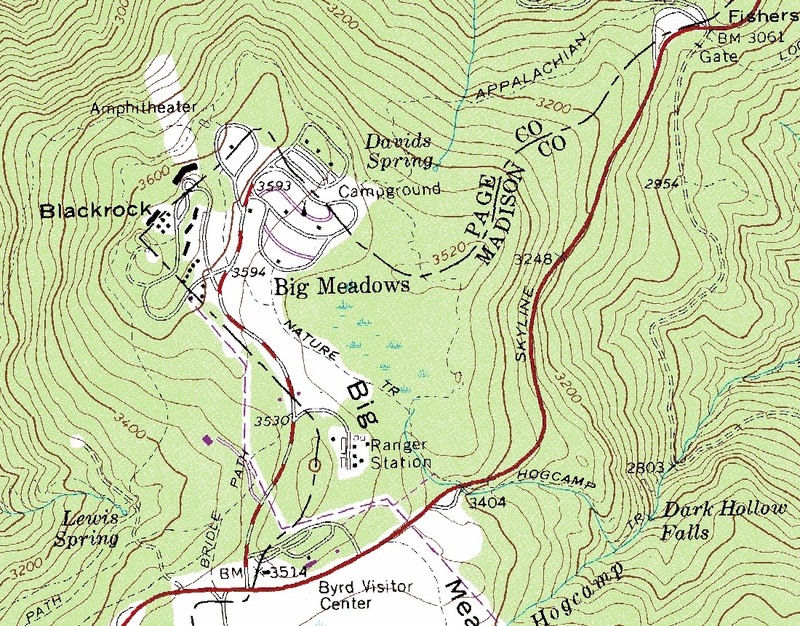 topo maps are available free online. I still like to look at those topo maps, though now I go to a web page developed by one of the staff at UVA, who has scanned all the maps (and the index map) and put it all online. Check it out here. The first listing, AAA.va.quad.ref.pdf, is the index map of all the topo maps. From there, you can choose the map you want. I use a Windows based computer. So I hit "control" and "Print Screen" to take a photo of my computer screen when I have the map section I want. Then I open up the "Paint" Program, crop the part of the map I am using, and print it out for the trail. Beats spending $9 to $12 for a map of an area I am only hiking once. I know that the feds are developing a new mapping system called The National Map. But I don't like it as much as the old school topos. I find the aerial photography to be distracting and the maps don't seem to have trails that are found on older versions.